Even in the most desolate areas of American cities, evictions used to be rare. They used to draw crowds. Eviction riots erupted during the Depression, even though the number of poor families who faced eviction each year was a fraction of what it is today. A New York Times account of community resistance to the eviction of three Bronx families in February 1932 observed, "Probably because of the cold, the crowd numbered only 1,000." Sometimes neighbors confronted the marshals directly, sitting on the evicted family's furniture to prevent its removal or moving the family back in despite the judge's orders. The marshals themselves were ambivalent about carrying out evictions. It wasn't why they carried a badge and a gun. These days, there are sheriff squads whose full-time job is to carry out eviction and foreclosure orders. There are moving companies specializing in evictions, their crews working all day, every weekday. There are hundreds of data-mining companies that sell landlords tenant screening reports listing past evictions and court filings. These days, housing courts swell, forcing commissioners to settle cases in hallways or makeshift offices crammed with old desks and broken file cabinets--and most tenants don't even show up. Low-income families have grown used to the rumble of moving trucks, the early-morning knocks at the door, the belongings lining the curb. Families have watched their incomes stagnate, or even fall, while their housing costs have soared. Today, the majority of poor renting families in America spend over half of their income on housing, and at least one in four dedicates over 70 percent to paying the rent and keeping the lights on. Millions of Americans are evicted every year because they can't make rent. In Milwaukee, a city of fewer than 105,000 renter households, landlords evict roughly 16,000 adults and children each year. That's sixteen families evicted through the court system daily. But there are other ways, cheaper and quicker ways, for landlords to remove a family than through court order. Some landlords pay tenants a couple hundred dollars to leave by the end of the week. Some take off the front door. Nearly half of all forced moves experienced by renting families in Milwaukee are "informal evictions" that take place in the shadow of the law. If you count all forms of involuntary displacement--formal and informal evictions, landlord foreclosures, building condemnations--you discover that between 2009 and 2011 more than 1 in 8 Milwaukee renters experienced a forced move. There is nothing special about Milwaukee when it comes to eviction. The numbers are similar in Kansas City, Cleveland, Chicago, and other cities. In 2013, 1 in 8 poor renting families nationwide were unable to pay all of their rent, and a similar number thought it was likely they would be evicted soon. Eviction's fallout is severe. Losing a home sends families to shelters, abandoned houses, and the street. It invites depression and illness, compels families to move into degrading housing in dangerous neighborhoods, uproots communities, and harms children. Eviction reveals people's vulnerability and desperation, as well as their ingenuity and guts. Fewer and fewer families can afford a roof over their head. This is among the most urgent and pressing issues facing America today, and acknowledging the breadth and depth of the problem changes the way we look at poverty. For decades, we've focused mainly on jobs, public assistance, parenting, and mass incarceration. No one can deny the importance of these issues, but something fundamental is missing. 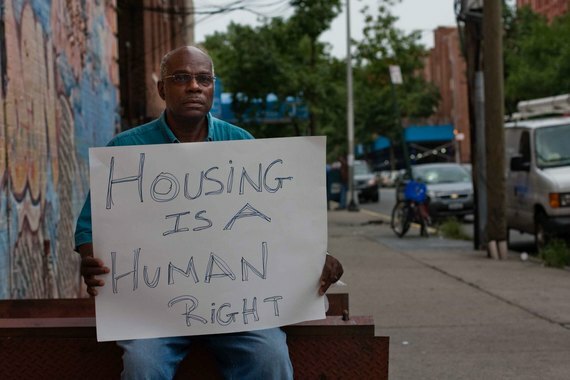 We have failed to fully appreciate how deeply housing is implicated in the creation of poverty. Not everyone living in a distressed neighborhood is associated with gang members, parole officers, employers, social workers, or pastors. But nearly all of them have a landlord. 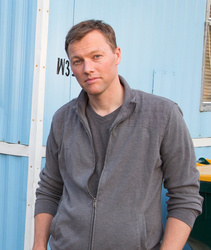 This blog is an excerpt adapted from EVICTED: Poverty and Profit in the American City Copyright © 2016 by Matthew Desmond. Published by Crown Publishers, an imprint of Penguin Random House LLC. Mr Desmond will appear at a book launch in New York City on Wednesday, March 9, 6:30 PM, hosted by the Right to Council NYC Coalition, of which NYLAG is a member, and The Institute for Public Knowledge at New York University.